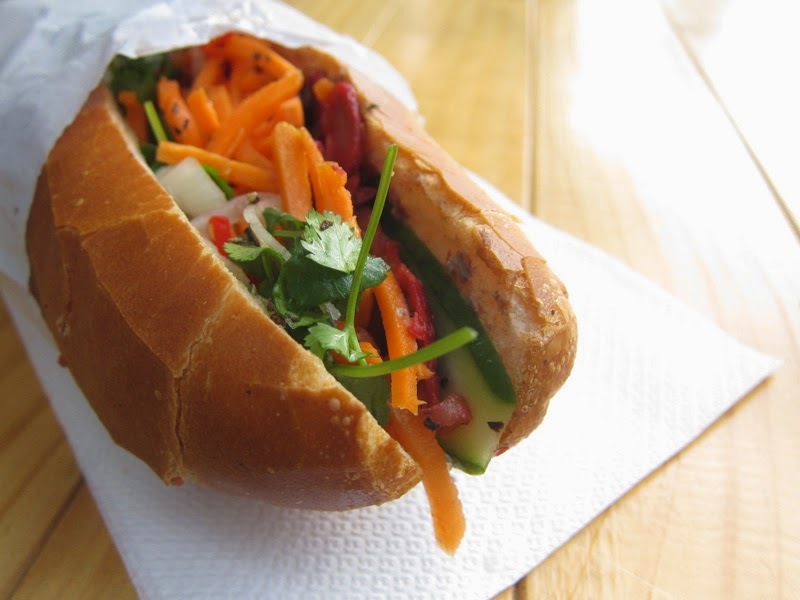 Banh mi for lunch, anyone? 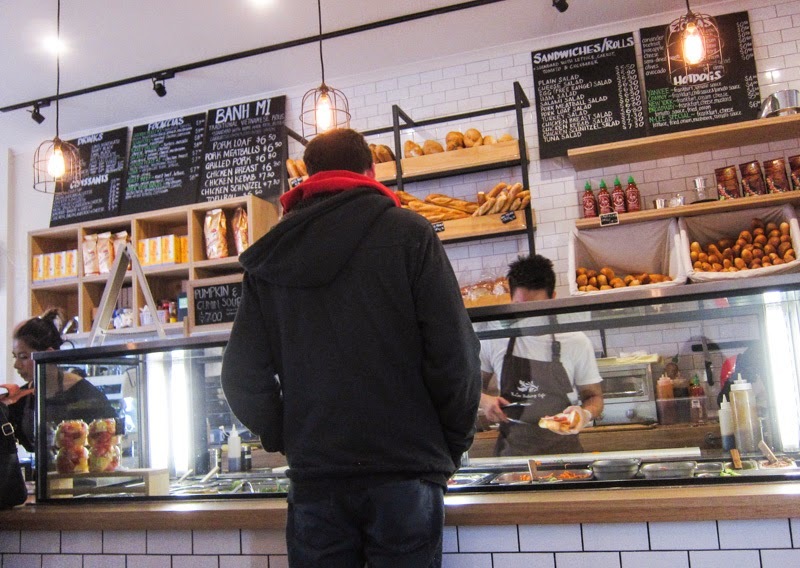 I have recently taken to visiting N.Lee Bakery Cafe (234 Clarendon St, South Melbourne) during my work lunch breaks to grab takeaway Vietnamese sandwiches - banh mi - for a change. The staff here are cheerful, friendly, and generous with their smiles, even during peak hour. If you get there around 1pm, be prepared for a queue, but the wait generally isn't too bad. They make the banh mi to order, and the meat is heated up in a pan so it's still warm in the roll when it gets to you. If you like a bit of a kick to your banh mi (and I so, so do), remember to ask for chilli. Their banh mi aren't the cheapest you can get in Melbourne, but at around the $7 mark they are still pretty good value for a tasty lunch, considering we're in a more expensive suburb here. The bread roll is crisp, the vegetables fresh, the meat warm and juicy. 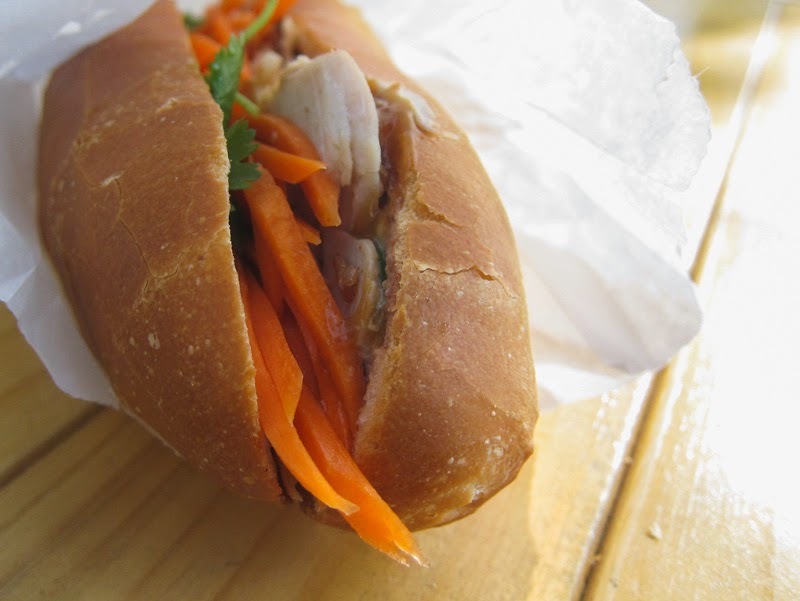 And here is the chicken banh mi. I have only ever been to the South Melbourne shop, and I'm satisfied with both the service and the food there, but I hear they also have stores in CBD and Collingwood. If I happen to be craving a sandwich when I'm in those areas, I guess I know where I can go! Wish I could get banh mi for $4 this side of town! Haha, for as long as I can remember, I've had my parents drum into me the undesirability of food colourings, and we always try to get au naturel char siu where possible. I love their pate. Sometimes I just get a roll filled with pate and egg butter. Fat on carbs...so bad, but so good at the same time! Ooh... maybe I should try this version sometime! I do love banh mi! Such a treat when it's the right bread and everything. Isn't it! An affordable treat, too. I love bahn mi! that sandwich looks delicious!